This competition is only possible with the invaluable help and cooperation of its volunteers. 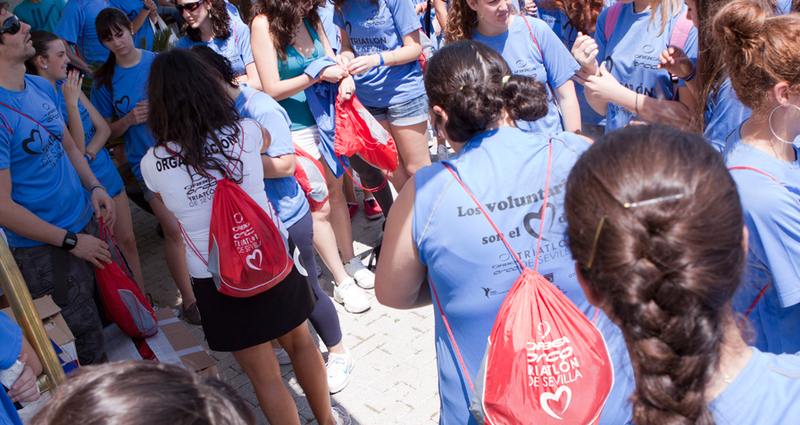 Volunteers are the true heart of the V Triatlón de Sevilla. If you would like to volunteer and live a unique experience in an incredible and fun setting, please do not hesitate to contact us by email at voluntarios@ofsport.es. Please write “Voluntarios VI Triatlon de Sevilla” in the subject line. You will be part of a great event. It will be an incredible and fun experience. You will be provided food and beverage each day you volunteer.